There are diversities of machining methods for manufacturing your custom parts. Among all these methods, CNC machining should be the best choice for making your products. Computerized Numerical Control (CNC) Machining is a manufacturing process which widely used in machining nowadays. 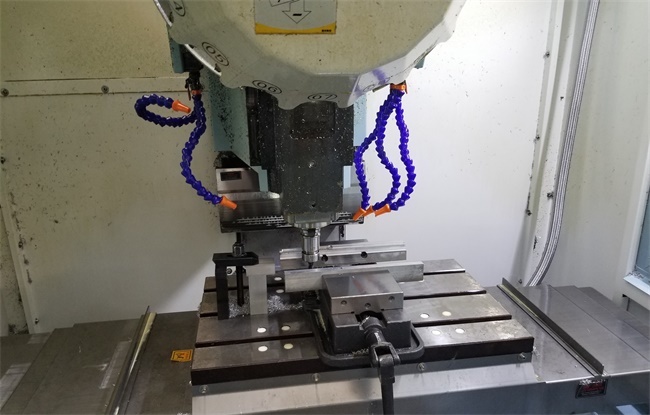 With the help of Computer Aided Machining (CAM) and Computer Aided Design (CAD) in the late 1970s, the new CNC was able to pre-programmed control the movement of factory tools and machinery to process high accuracy and quickly machining, which improves the production efficiency. 2. Diverse materials can be used. 3. Volume is optional in that one to many thousands can be produced. 5. Easier to process a complex surface and small parts that are difficult to observe in machining. In the workflow of product development, designers needs the rapid prototype for verifying their designs, also some amounts of low volume manufacturing parts for testing the market. These bring more open market and opportunities to manufacturers, especially in china, the industry of rapid prototyping is developing quite quickly these years. The reason for choosing china rapid prototyping company is they can provide lower manufacturing cost as the competitive labor cost. The quality for china rapid CNC machining is quite stable. At TEAM Rapid, we invested advanced CNC machines and have quality control system, we can guarantee workflow and every step is in-process. Benefit from the advanced CNC machines, CNC prototype parts range from 1 to 200 can be shipped as little as 2 days from TEAM Rapid. Want to know more about our china CNC machining service? Contact our team at sales@teamrapidtooling.com , let us provide the best solution for you.